I was slightly skeptical of this device, The Zyliss Easy Pull. I’ve had one of those small, manual mini choppers before and I’d sit there winding and winding and still end up with big chunks of onion, it was easier to just do the old fashioned chop with a knife. This one did appear different though, it had a pulling mechanism and the boasted a ‘patented twin-blade system that can even cut through frozen food’. After trying other products from the Zyliss range, I became more and more intrigued and excited. Their knives are well made and remain super sharp longer than many high end, much more expensive brands and their range is full of colourful, modern gadgetry that once you try, you wonder how you ever lived without. 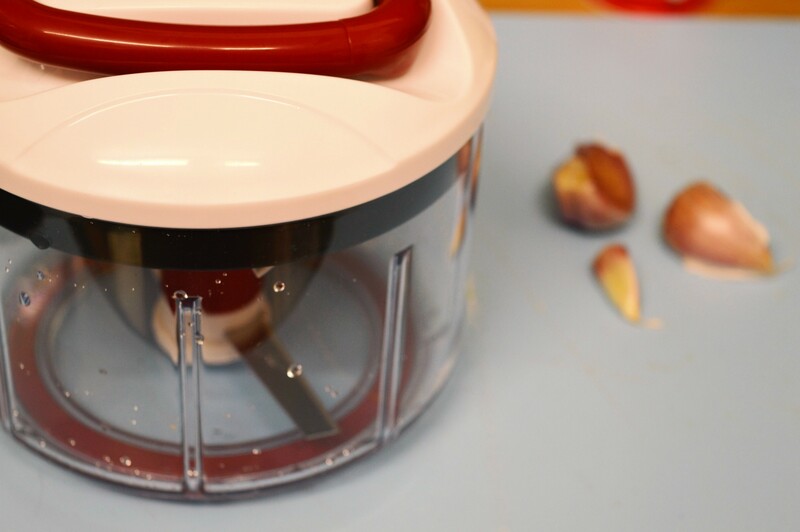 When it came to actually trying the product for the first time, I knew this wasn’t any old manual food chopper when I carelessly removed the blade covering and just with the lightest touch had sliced my finger! Those blades are super sharp and come with a safety casing for good reason! Along with the blades there are sweeper arms which ensure food is kept in the path of the blades so there’s no need to keep scraping the sides. It soon became apparent that this gadget was a full spectrum manual food processor, capable of much more than chopping your onions! 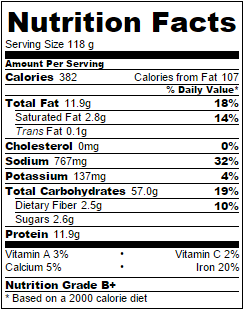 For me, the ultimate test was to see how it coped with garlic cloves. The thing I hate to prepare most. 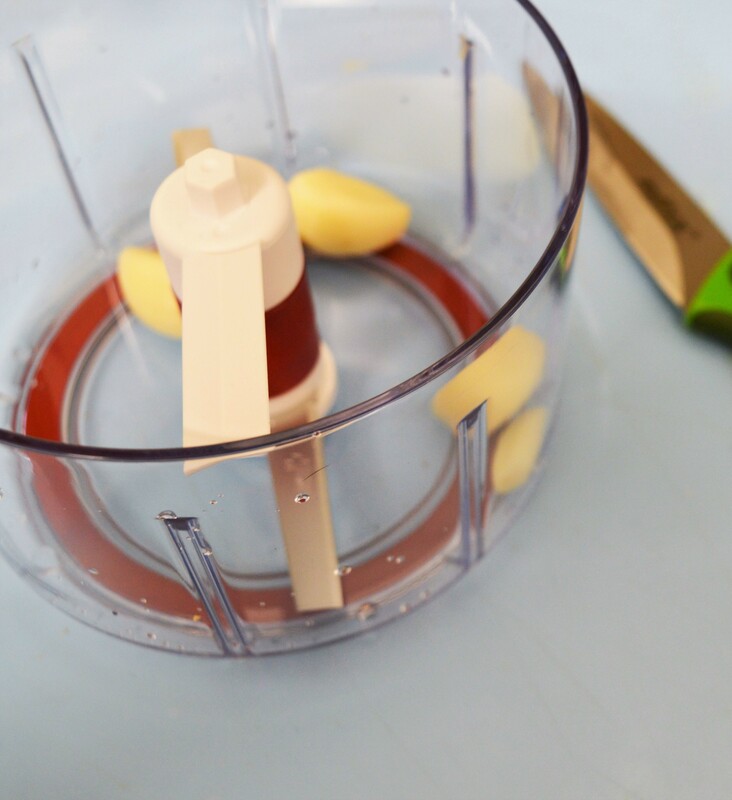 Peeling and chopping garlic is a job I despise and although I own various kinds of garlic press or twisty-thing, I always end up with more garlic left behind in the device than in my pan. I was interested in two things; firstly, did it consistently chop my garlic and secondly, would a single clove of garlic get lost and whirled around or would the blades attack it despite being so small? Yes and yes. It passed the test! It chopped my garlic all the same size in seconds, even a single clove and multiple cloves. Win! 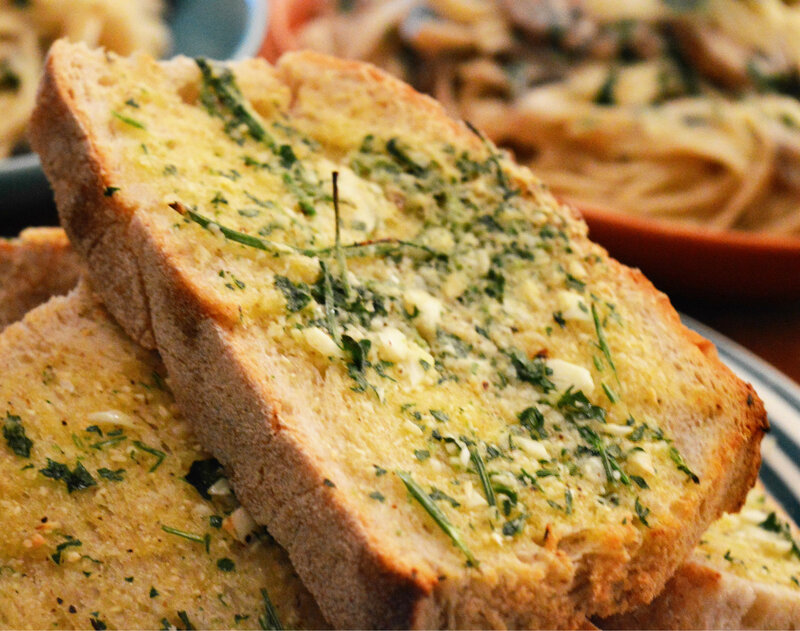 Hence, this garlic bread recipe was created using it! I also love that this machine is manual therefore eco-friendly, free to run and available to use whenever and wherever. Power cut? No problem, you can whip up a smoothie, banana ice cream or chilled gazpacho in candlelight. 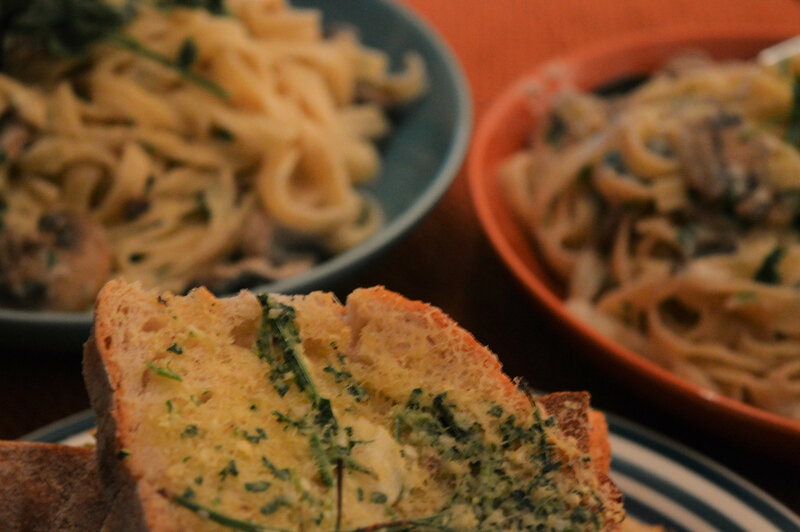 Camping, road trips, students… you could even whip up some pesto on the bus ready for dinner when you get home if you wanted to. If you don’t mind the strange looks that is. 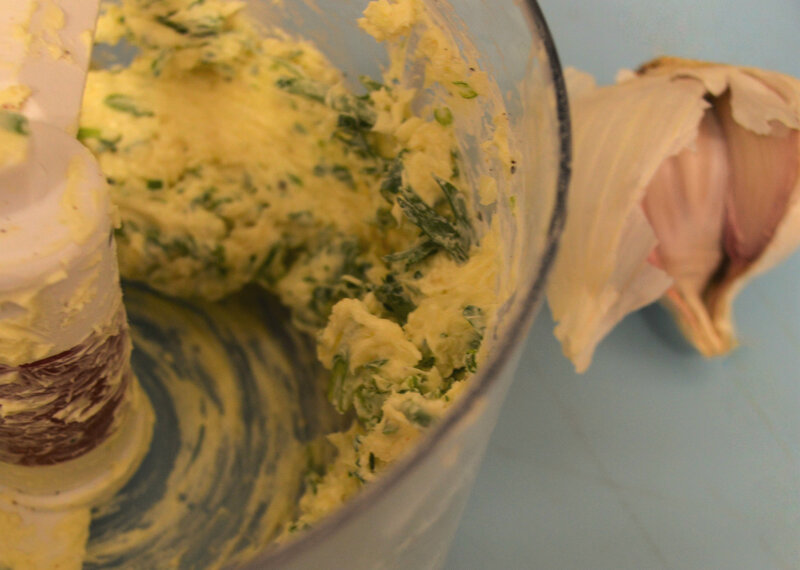 If making without the Easy Pull, finely mince the garlic roughly chop the herbs. 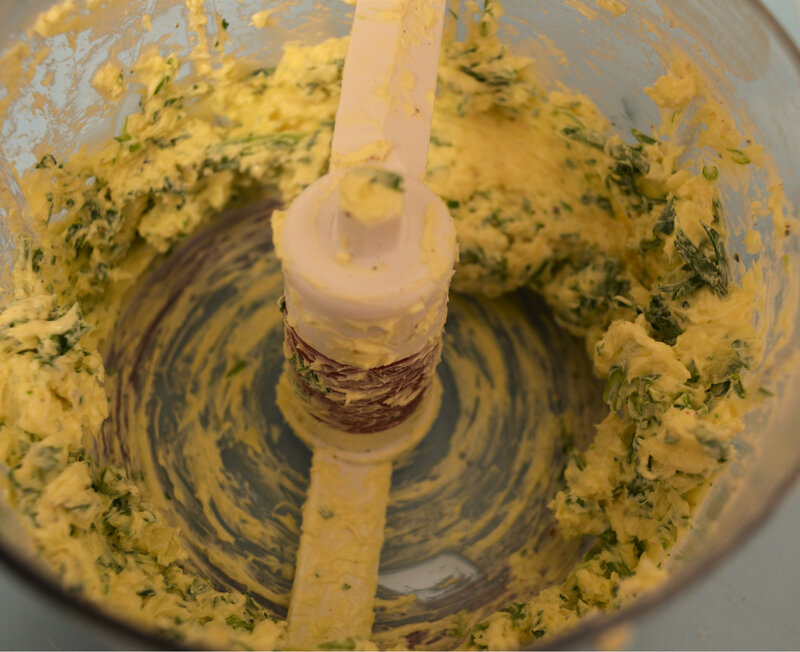 Mix into the softened margarine with the other seasonings, taste and adjust. Spread on slices of the bread and grill or bake until slightly golden, being careful not to let the garlic burn. 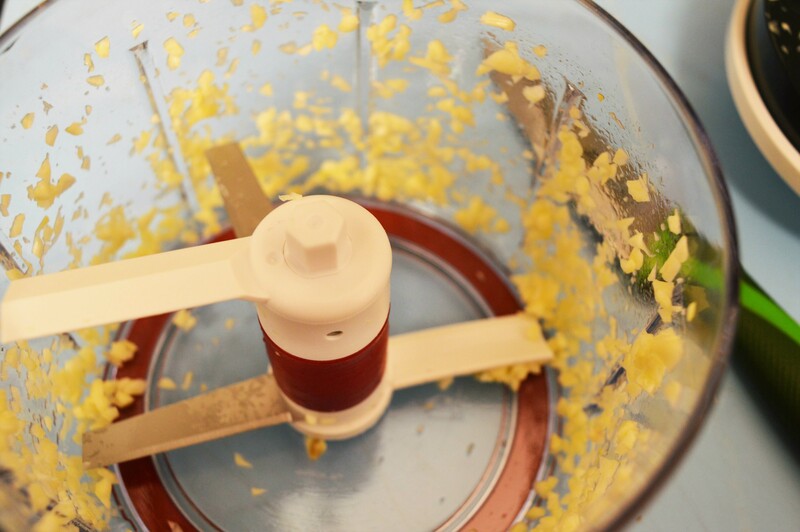 Using the Easy Pull, add the peeled garlic to the processor and pull 8-10 times until finely minced. Add the herbs and pull about 5 times until roughly chopped then add the seasonings and pull another 2-3 times to disperse. Add the softened margarine and pull until creamy and well mixed, about 10 pulls, taste and adjust. Spread on slices of the bread and grill or bake until slightly golden, being careful not to let the garlic burn. 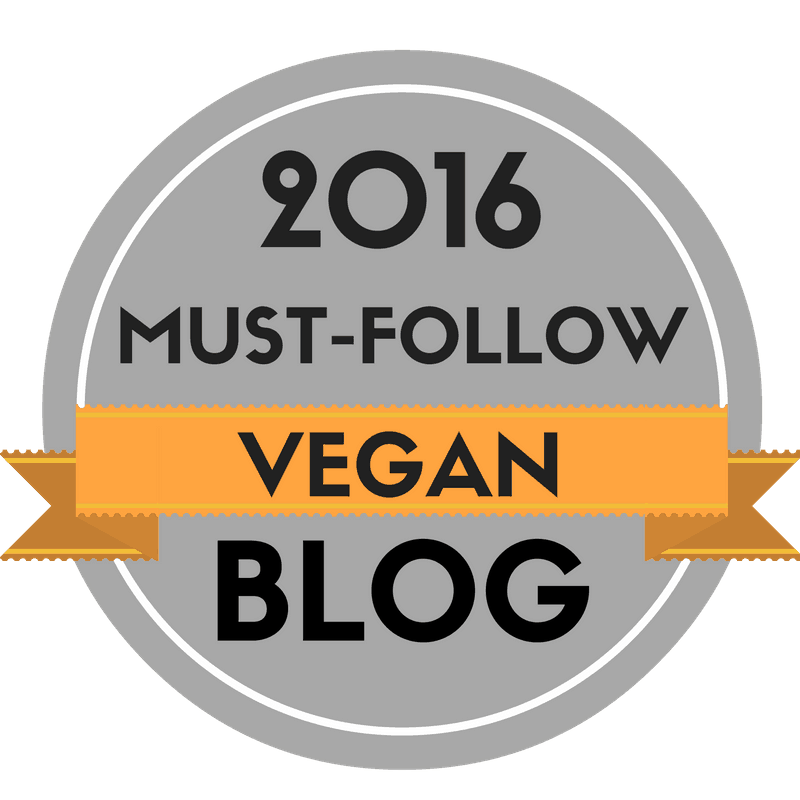 This entry was posted in vegan and tagged baking, bread, cooking, dairy free, entertaining, food, recipe, vegan, vegetarian. Bookmark the permalink. 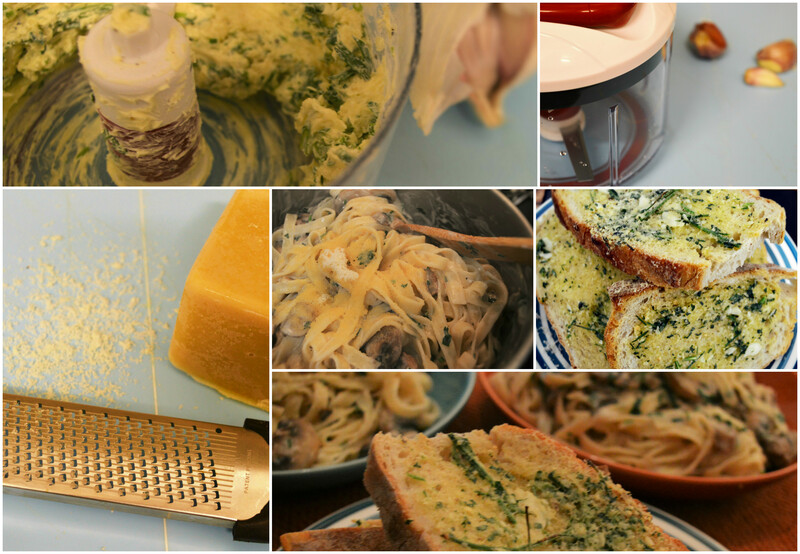 12 Responses to The Best Garlic Bread and the New Zyliss Easy Pull! I’ve always hankered after these non-electric blenders but feared the big chunk problem – do you mind saying how much you paid for it/where you bought it from? 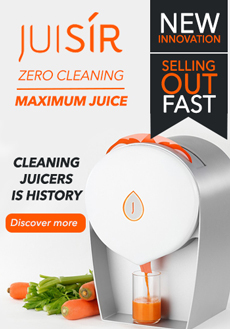 The Zyliss site goes to a 404 page when you click “buy now”. Making some Turkey Meatballs next week. 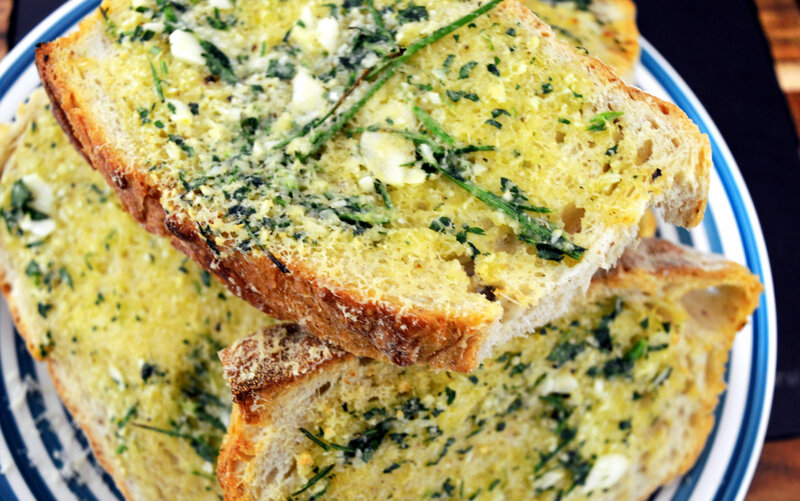 This garlic bread will make a great sidekick! That really does like fab garlic bread , and I can eat it to yeh 😊. Thanks for sharing. Ohhhhh man does this ever look amazing. What a cool little gadget! I’ve never seen one before. Hehe story of my life!